I fall hard for delightful spaces. And luckily St. Louis has quite the variety. 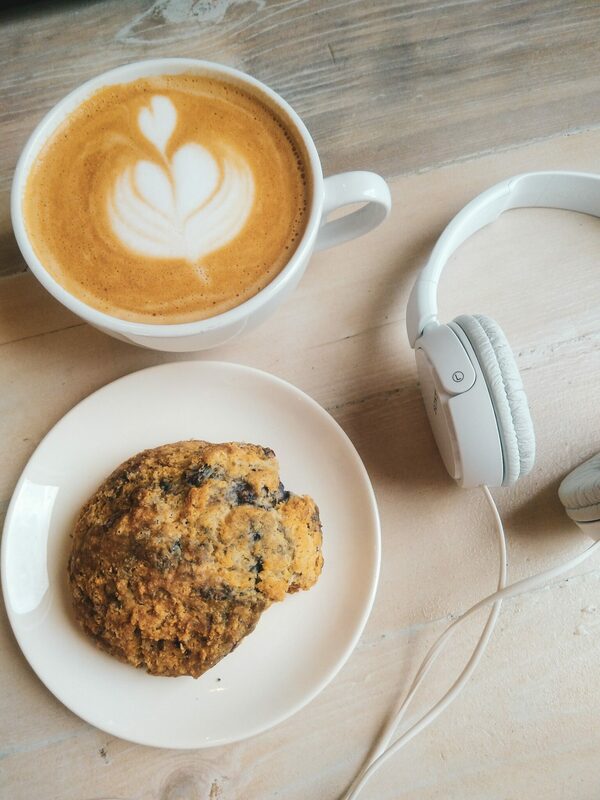 As I write this post, I’m sitting by the window at Fiddlehead Fern Cafe, which is nestled in the Shaw neighborhood at the intersection of Russell and Thurman. I love the simplicity of this space and am kicking myself for not discovering it sooner. 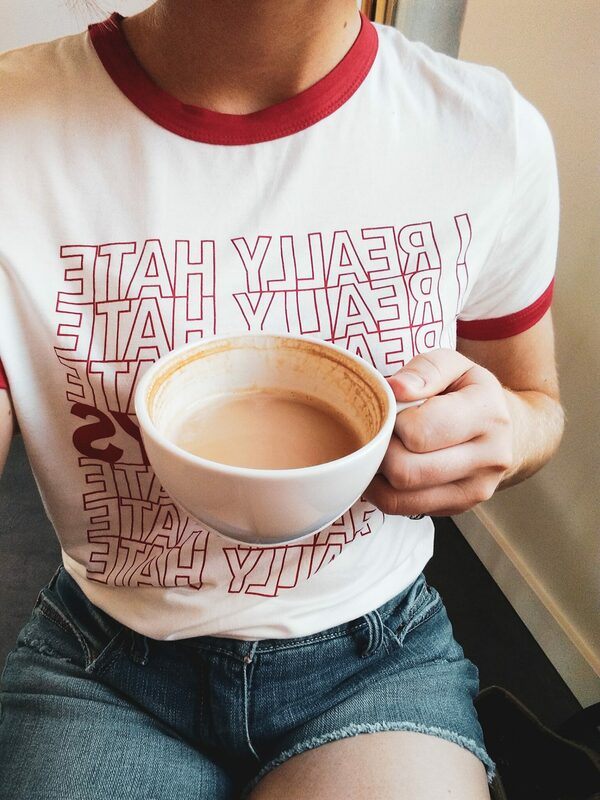 The aesthetic is on point and the food + coffee surpasses expectations. Fiddlehead prides itself on offering a unique space for friendly engagement, whether it be between two friends or between staff and customers. The kitchen and prep area is open and airy and the simplicity of the design is calming. 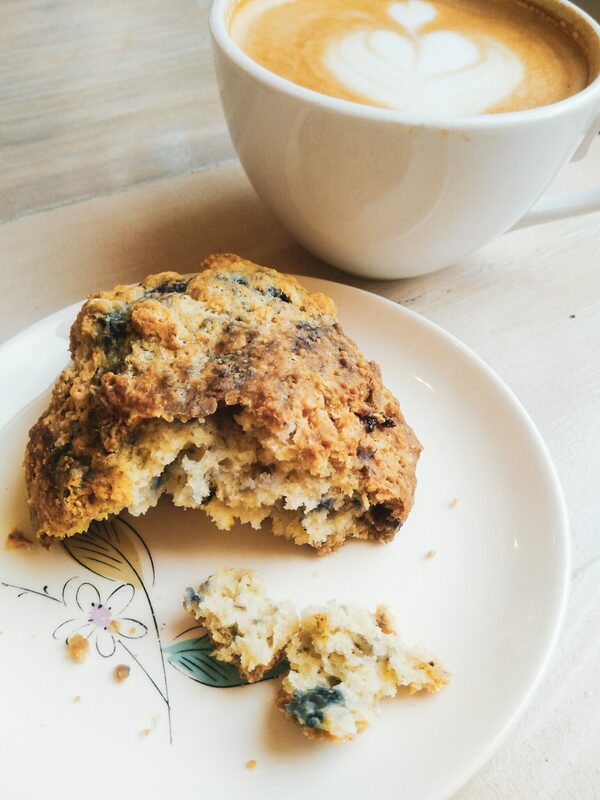 The food and drink menu revolves around what is in seasonally and combinations, such as the blueberry and orchid scone below, delight the taste buds! Oh, and if this isn’t enough to tempt to you to visit, they also offer live fiddle music on the weekends!